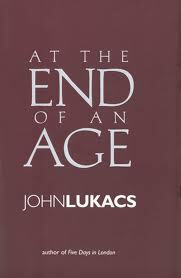 At the End of an Age by John Lukacs. In his book, At the End of an Age, historian John Lukacs argues that the Modern Era, which began about five hundred years ago, is rapidly coming to its terminus, or might indeed already have given way to a new era, the outlines of which do not yet fully disclose themselves. The fact that this thesis is not, considered as the instance of a genre, anything surprising is itself a sign of the change that Lukacs detects: “Telling people that we seem to be living near or at the end of an age is no longer something to which they necessarily react with incomprehension or even unexpectedness.” At the End of an Age is, of course, no mere generic argument, but an attempt to fine-tune our comprehension “of a very particular age” in its passing moment. Lukacs offers, in support of his claim, a subtle and unexpected argument with many approving references to an eclectic range of authorities, some of whom—Giambatist Vico, Simone Weil, Owen Barfield, and Werner Heisenberg—are hardly orthodox. The eccentric status of a Vico or a Barfield takes its context, of course, in the order that Lukacs sees as now dwindling away to its vanishing point. He invokes these sources quite deliberately against a lingering Cartesian Weltanschauung. More than by implication, Lukacs finds himself not altogether chagrined by the passing of modernity, whose latter ideological ossification undid much of the promise of its enlightened beginnings. It is in his epistemology that Lukacs turns subtle, for he refuses to grant to the natural sciences the primacy accorded them by seminal modern figures such as René Descartes or Isaac Newton. The natural sciences, as constituted by the Enlightenment, insist on an absolute separation, as in Descartes, of the knower from the known. In its dogmatic manifestation, this doctrine casts man as the monad, sovereign over himself yet without a real link to the world that he inhabits. Lukacs sees this reification not only as false but also as deforming; he does not, therefore, unduly lament its dissolution. On the contrary, he alleges that the real model of knowing, and thus of being in the world in an integrated and living way, is historical investigation, the careful contemplation in detail of the past at all levels; this is so, he urges, because historical thinking, so far from separating the knower from the known, requires their convergence and interpenetration—hence his fondness for Vico and Barfield, who grant to the symbolic the first priority in investigation. Man knows best what he himself has created, and he knows himself best in those creations. Behind the employment of the “post-modern” category we can detect the uneasy and long overdue recognition that such fixed categories as Objectivism, Scientism, Realism, Naturalism are passé—they belonged to a bourgeois world and its era. So often the apostles and acolytes of post-modernism are but another, updated twentieth-century version of “post-,” indeed, ofanti-bourgeois: they are confused excrescences of “modernism.” . . . 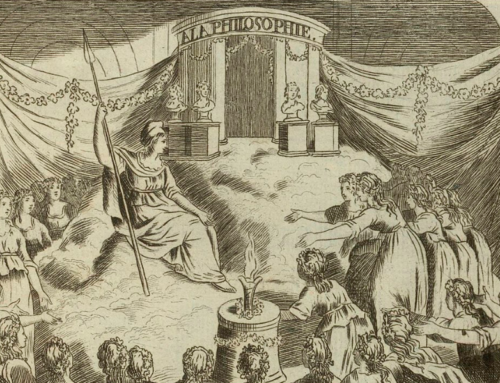 Besides, most academics and “post-modernist” intellectuals still shy away from abandoning their faith in the Enlightenment, in the Age of Reason—even though the Age of Reason was inseparable from the rise of the bourgeoisie, and even though most of its spokesmen were bourgeois. This same half-guilty split consciousness by no means belongs exclusively to the intellectual classes, but rather typifies the current transitional period. Lukacs provides a four-page list of contemporary “dualities.” Among his examples are these: while the law extends the privilege of privacy everywhere (even to pornographers, “fewer and fewer people appreciate or are able to cultivate privacy”; while something called home-ownership has become an almost universal desideratum, lifelong neighborly residence in one’s own house, “which is one basis of civilization,” is almost unknown; the promotion of formal equality among races is accompanied by increasing “fear and hostility” between peoples who differ in color, language, or religion; “liberals,” who formerly strove to limit government, now cry for its expansion while “conservatives,” who used to defend tradition, now ally themselves to the crudest forms of “progress”; finally, a glut of “information” has made knowledge ever less accessible. Tied to the confusion about knowledge is the dilution of education: as more people go to school for longer stints they appear finally to know less and less. On the other hand, some accomplishments of the modern period have lavished real benefits on large numbers of people and qualify as solid betterments of the human condition. Here Lukacs cites the widespread alleviation of disease and the prolongation of life, the improvements in housing and sanitation, the abolition of slavery, and the impressive, non-combatant achievements of science and technology such as the landing of men on the moon. (There were, however, five moon landings, not two, as Lukacs asserts.) 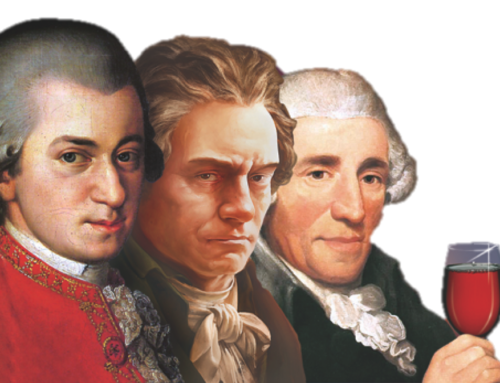 There is also the European literary and artistic achievement, right through the nineteenth century, from Dante Alighieri to Gustave Flaubert. As “nothing vanishes entirely,” we should expect much of the peculiarly modern ethos to persist. Infrastructure and positive customs and institutions interest Lukacs less, however, than something else: “conscious thinking.” The end of modernity signifies the end of a particular way of apprehending the world and the emergence of an altogether new way of seeing it. The change of consciousness might, moreover, be a real increase of consciousness. Concerning the special “quality” of historical thinking, as Lukacs convincingly asserts, it “is neither objective nor subjective but personal and participant.” In this way it abrogates the dogmatic bifurcation into subject and object proclaimed by the long dominant Cartesian epistemology and helps repair what has been, in a real sense, a delusion. Indeed, in environmentalism, or “Green” politics, we see how an epistemological premise—the knower stands strictly apart from the known—becomes a moral-ideological imperative. Thus the “Greens” would ban the human presence from large wilderness tracts, thereby making sure that no knower ever comes into contact with the potentially knowable. But the whole meaning of landscape, Lukacs reminds us, springs from the notion of a balance between man and nature: the poets and painters show us humanity innature. Of what value might an antiseptic nature, held in inviolable preserve, be to those who remained locked out from it? Its value would be theoretic in the most desiccated sense, for one most values that in which one somehow participates. So, too, in the study of history: because the main material of history is words, and because words are always imbued by some small ambiguity, objectifying historians declared that history was nothing but ambiguity, words without recoverable referents. As Lukacs says, this claim rendered history inaccessible, like the Kantian Ding an Sich, and denied the participatory element in historical investigation. Such a view offends against basic human experience, which is suffused by memory. Common sense is right when it reminds the dogmatist that words do indeed refer to events and things, and that these events and things were bound up with human struggles and aspirations the effects of which not only reach down to the present butconstitute it. History must be “participatory.” (So must life!) The historian must enter into the dialectic of the actual and the potential contained in every critical moment of the past. Memory is the real psyche or life force and nothing is genuinely more alive than the historian’s disciplined rejoining of the past; apprehended in the right way, history becomes palpable. Oswald Spengler, whom Lukacs mentions once or twice, called this grappling with past events “physiognomic tact” and nominated it as essential to all spiritual investigation. We see the method at work, for example, in Weil’s essays on classical literature, which must have moved Lukacs when he read them, and in Lukacs’s other work—most recently in his gripping Five Days in London. I return to Lukacs’s gallery of proleptic thinkers, the ones who forecast the new view of the human reality that has something in common with several older, pre-modern views. To defend Heisenberg against Albert Einstein is to argue for an organic view of the world against a mechanistic one. 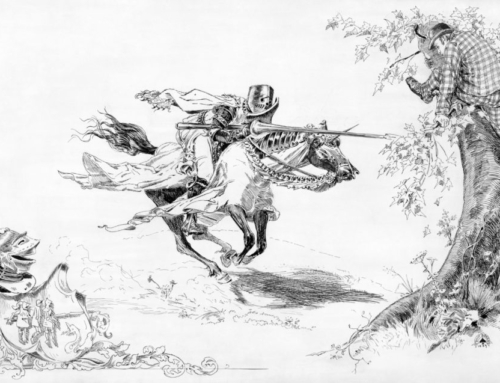 To side with Barfield against R. G. Collingwood is to argue for a vital and supple view of the past as against a purely intellectual and deterministic one. To validate Vico over Descartes is to argue that the “civic world” is more real for human beings, because more immediate to them, than the world described by Newton’s laws. Lukacs spends a whole chapter recording the recent critique of scientism: the questioning of Darwin’s theory as an adequate explanation of the range and quality of living beings, the qualms aroused by a physics that requires acre-sized cyclotrons to investigate subatomic particles whose existence seems to be confined in the descriptions of the investigators, the nagging itchthat tells some physicists that the attempt to formulate a “unified field theory” is a vanity. Here again, what inspires suspicion is dissatisfaction (a) with a longstanding and formidably institutionalized preference for determinism and, (b) a tendency to make far-reaching claims on insufficient evidence. The renewed sense of history thus combines with the new willingness to question dogmatic science to form the altered consciousness that Lukacs believes will characterize the truly postmodern type of thinking even while it takes on, as it must, different guises. To illustrate his contention that human events do not occur under the rule of some rigid Ananke, Lukacs devotes a chapter to the question of whether Hitler was inevitable: his conclusion is that Hitler was by no means inevitable; that simple events, which might easily have happened other than as they did, could have deflected Hitler into some other role than that of Führer, in which case the shape of the mid twentieth century would have been different. Lukacs ends this quite personal book with an affirmation of the religious view of history. He declares his intuition that the supreme historical moment and fulcrum of the human chronicle is the incarnation of Christ. Again, there is an underlying affinity with Barfield and Weil. Lukacs’s language remains in this concluding section modest and non-dogmatic. At the End of An Age should be read along with another book, Romano Guardini’s The End of the Modern World, first published in 1956. Instead of the a-historical character of modernity, Guardini refers to “a culture self-created out of norms intrinsic to its own essence”; but they are the same phenomenon. Like Lukacs, Guardini says, “The modern world is coming to an end.” At the End of an Age is in some part a response, fifty years later, to Guardini’s keen-eyed diagnosis of an order in dissolution. Books mentioned in and related to the topic of this essay may be found in The Imaginative Conservative Bookstore. This essay originally appeared in the University Bookman and appears here by their permission. Thomas F. Bertonneau teaches Literature at the State University of New York, Oswego. A great book by a great historian. Again, we are being warned of priority of method over content, which is a mechanistic view promoted by Descartes. David Schindler has a chapter in Heart of the World, Center of the Church, which goes into detail concerning this very thing. Great read. Would love a "book club" discussion on it. Thank you for pointing this book out to me, I have never heard of it before, it it looks like it would be worth my time and then some! I just purchased it off Amazon! For a scientist's view that personal involvement is necessary to discovery and validation see "Personal Knowledge" by Michael Polanyi, a British scientist of Hungarian origin. The book was first published in England in 1958. I'm glad this review was posted, it helped me understand the premise of the book. If one looks at the Amazon.com reviews, for example, a large number of the people there did not get it all. Many thought it devolved into solipsism. Some even went as far as accusing it of being anti-intellectual.